Henry Louis Hank Aaron began his career in 1954 playing for the Milwaukee Braves in the position of right fielder. Throughout his career he took part in 23 Major League Baseball seasons, achieving a batting average of .305 with 3,771 hits and performing 755 home runs. Hank Aaron also has 2,297 RBIs which is still a MLB record. 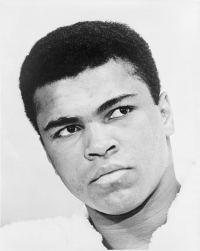 His teams include the Milwaukee Braves, the Atlanta Braves and the Milwaukee Brewers for a short period. Worth mentioning is the fact that in 1957 he was awarded the MVP title and during the same year his team the Milwaukee Braves won the World Series. Although he deceased quite early from a debilitating illness named Lateral Sclerosis, which gradually diminished his ability to bat, Lou Gehrig will always be remembered as the first MLB basemen to play throughout 17 consecutive seasons in the New York Yankees. Within his glory period, Gehrig achieved an impressive .340 batting average, 2,721 hits and 493 home runs, not to mention the 1,995 RBIs. 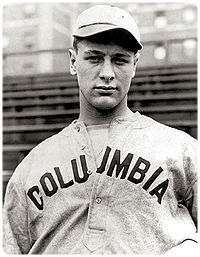 Gehrig received the MVP award twice in his career, in ’27 and ’36. A game which has its origins back to 1344 in France, baseball came to the United States in 1850 but actually only began to capture the attention of the public at the turn of the century. Since that glorious moment, baseball gradually made its way into the favorite national sports, only to become the national pastime later on. Along this road, numerous players have proven their excellence in the Major League of Baseball and the following article aims to list what we consider the top 10 player list of all times, based on their achievements, statistics and popularity. While all classifications of this type have a certain level of bias, this one takes aims to consider all the important aspects that make up the portrait of the perfect baseball player. Irrespective of the disputes between sports critics and fans, Babe Ruth is and will probably be for a long time representing the very best display of skill and dedication in baseball. 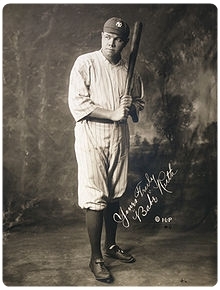 With a batting average of .342, 2873 throughout his entire career as well as an impressive 714 home runs carried out, Babe Ruth is definitely a tough act to follow. He played in teams like the Boston Red Sox, the New York Yankees and the Boston Braves, setting still undefeated MLB records like the .690 percentage of slugging throughout his career and 1.164 OPS.